This web page took sevearal hours to scan, research, design, and upload. Thank you for supporting the Virtual Steam Car Museum! 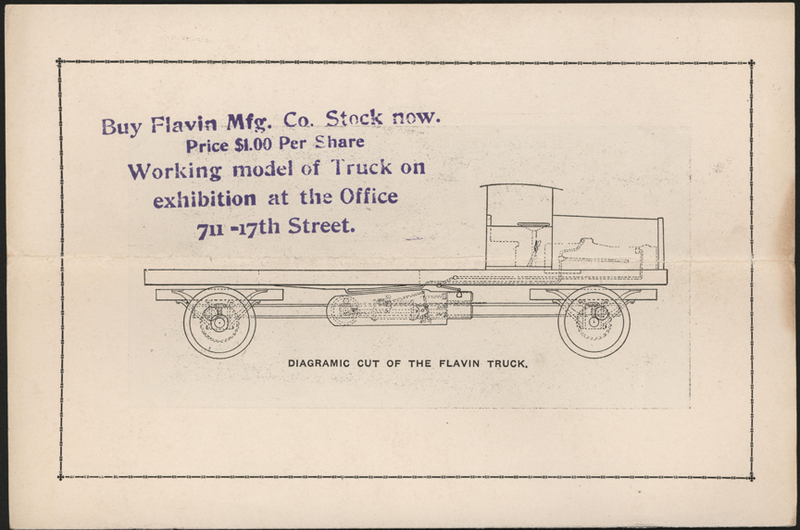 The Flavin Manufacturing Company proposed to manufacture a four wheel drive steam truck, along with automobiles, tractors, etc. Its brocure pictured a technolgy that seemed a bit crude compard with other steam vehicle efforts in the 1920s. The Company cliamed to have a patent on its vehicles, No. 1,213,612, howver the patent was issued to J. Cipolia on August 12, 1919. It is a patent for a "Spring Bed-Bottom." 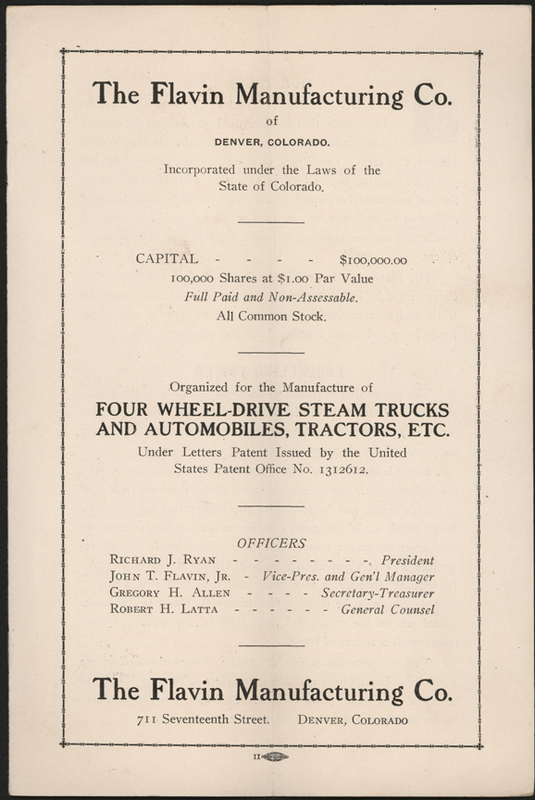 The Flavin Manufacturing Company produced this trade catalogue about 1919 or 1920. A stamp on the last page promoted the company's stock. Contact us if you have additional information about the Flavin Manufacturing Company, or if you have questions.